Which came first, the chicken or the egg? This question has puzzled minds and made people wonder for millennia. Ancient philosophers felt that this question was a smaller version of a larger question: How did life and the universe begin? It is the original causality dilemma that can best be put, “Which occurred first, A which cannot come without B or B which cannot occur without A?” Aristotle was the first of the great philosophers to ponder the problem, and ultimately came to the conclusion that both must have existed since the beginning. Some people feel that the egg, naturally was first. After all, in order for a chicken to exist it has to come from somewhere and that egg is a definite somewhere that everyone can agree comes from a chicken. 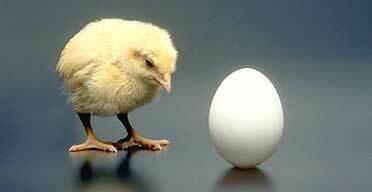 I have seen arguments that the egg naturally came first, as without an egg, the chicken does not exist. I, however have always been a firm believer that the chicken came first. Consider the egg and the embryo inside it. In order for a chicken embryo to develop, it requires heat that cannot be too hot nor too cold, it must be rotated constantly, there are very specific humidity requirements. Just one thing off and the chick will not develop even in the slightest. Hatching an egg, as anyone who has undertaken hatching with an incubator can tell you, is a precise science of calculated temperatures, humidity, and rotation. 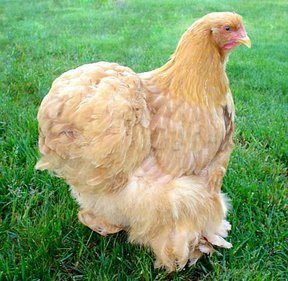 It is highly unlikely that an egg simply appeared somewhere out in nature and managed to hatch a completely normal hen. Even those on both sides of the Creation/ Evolution argument should be able to agree that it is highly unlikely that an intelligent creator set down an egg without anything to care for it. Nor would an animal simply drop an egg and wander off if their eggs required setting. 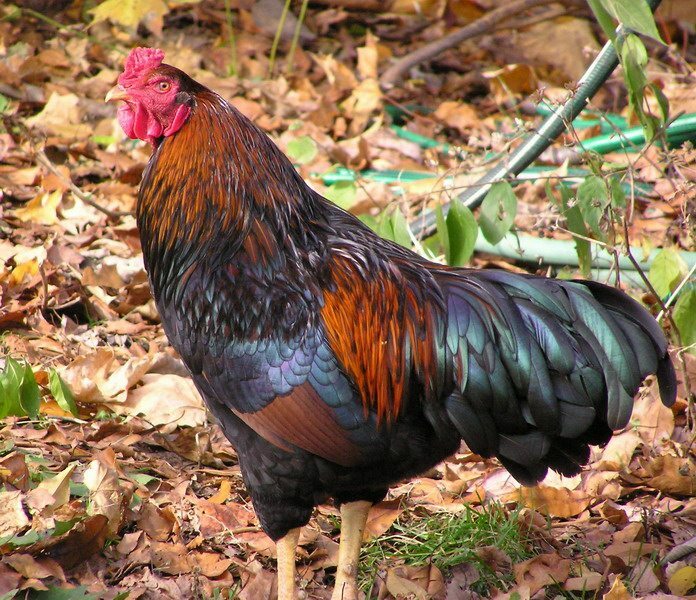 It is more likely that the animal had a clutch of eggs and whatever animal the chicken evolved from discarded the chick when it was discovered to be significantly different than the other animals in the clutch. However, if an intelligent creator instead set down a hen, which will lay regardless of fertilization, who laid and a rooster to fertilize that would create a chick. And if a chicken-like pair of animals created an egg and over millennia these animals evolved into the chicken we know today, then it is obvious that the chicken appeared before the egg. Now, however, it is less guess work and more science that supports the chicken before the egg argument. In July of 2010, British Scientists from Sheffield and Warwick universities discovered a protein in egg shells that can only come from the ovaries of the chicken. It speeds up the development of the hard shell which protects the embryo inside. Though some may not see this as definitive proof, it does support the argument that the chicken certainly came before the egg.